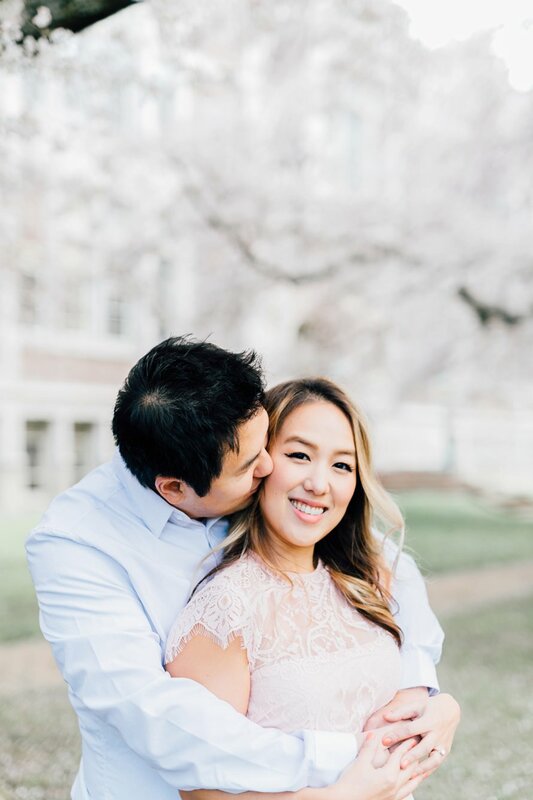 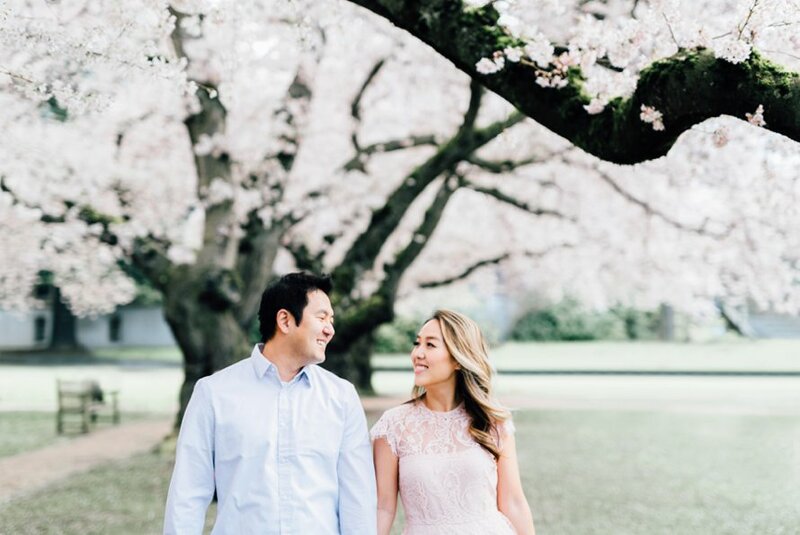 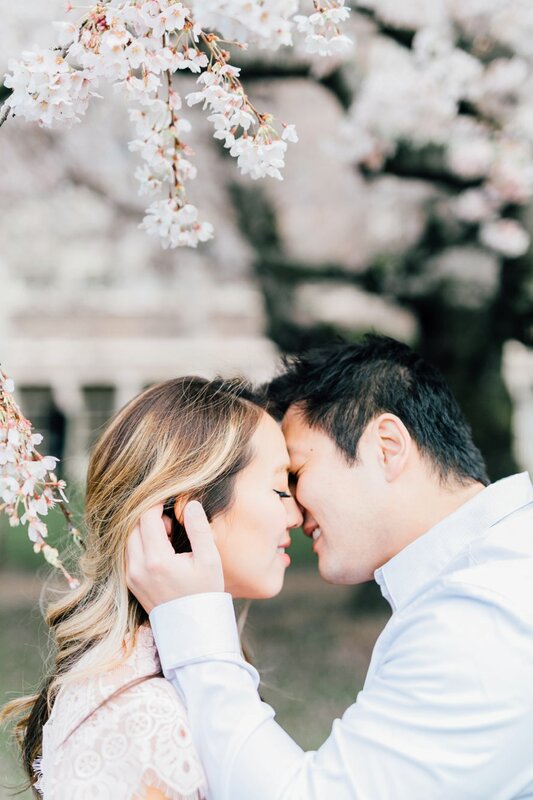 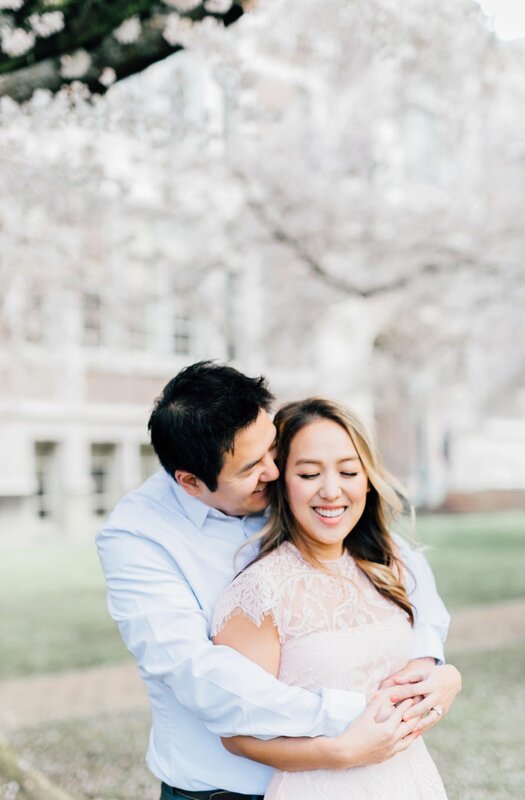 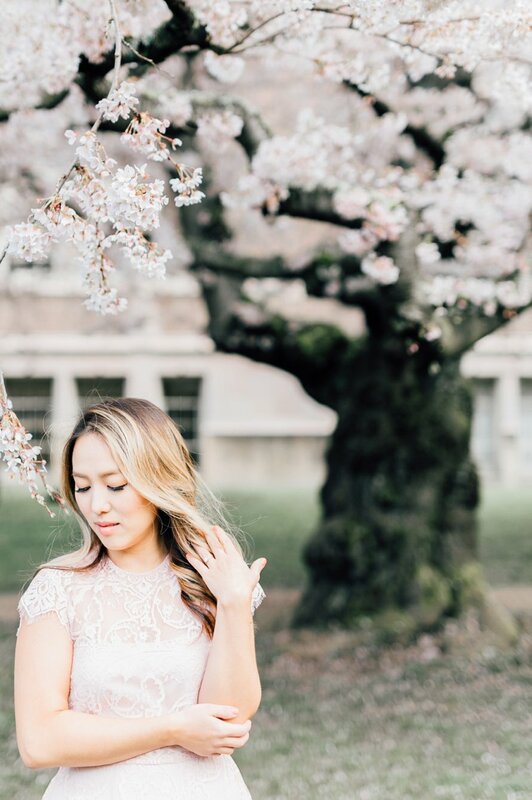 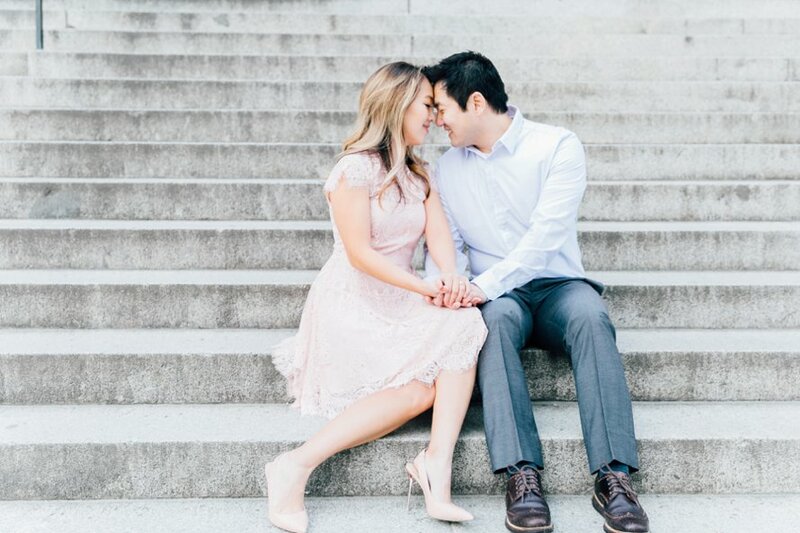 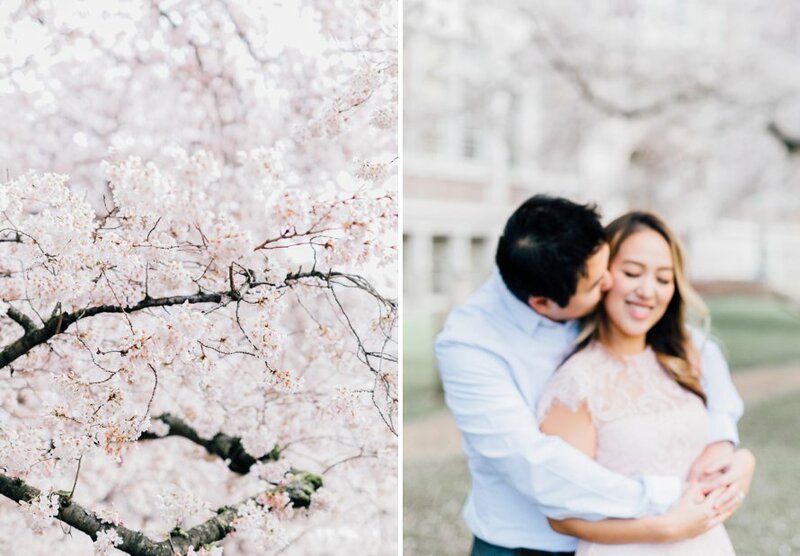 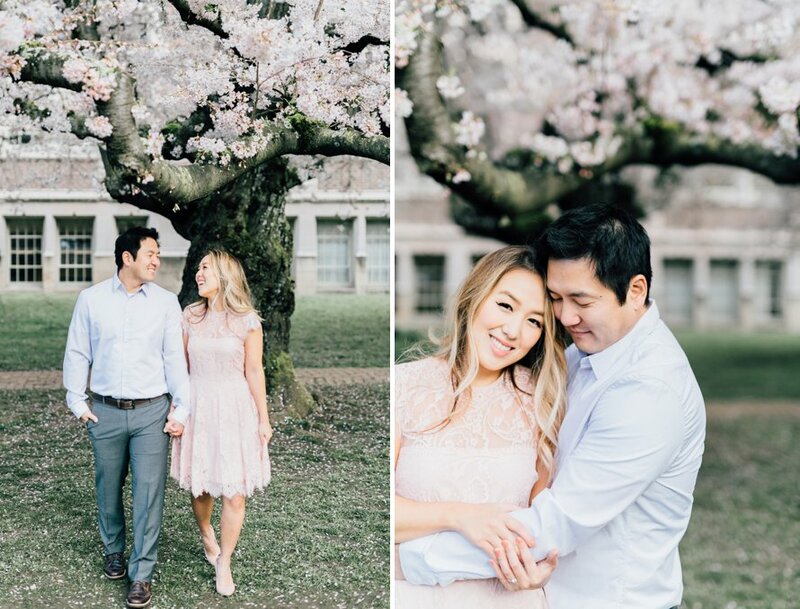 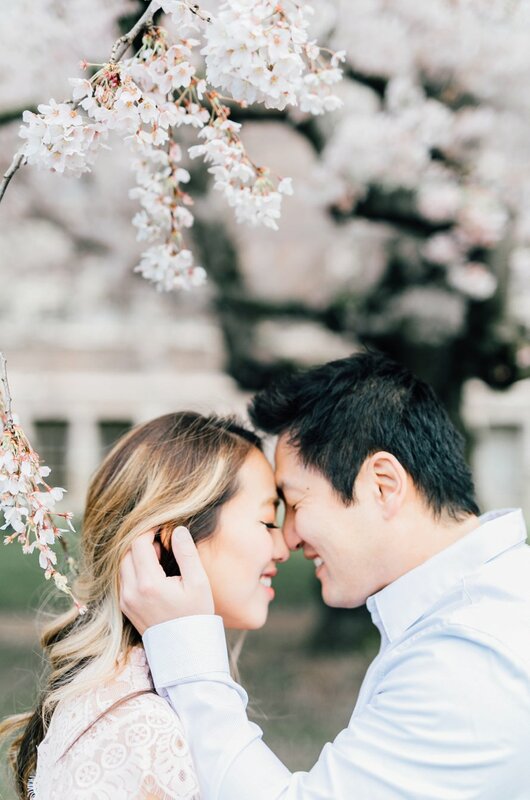 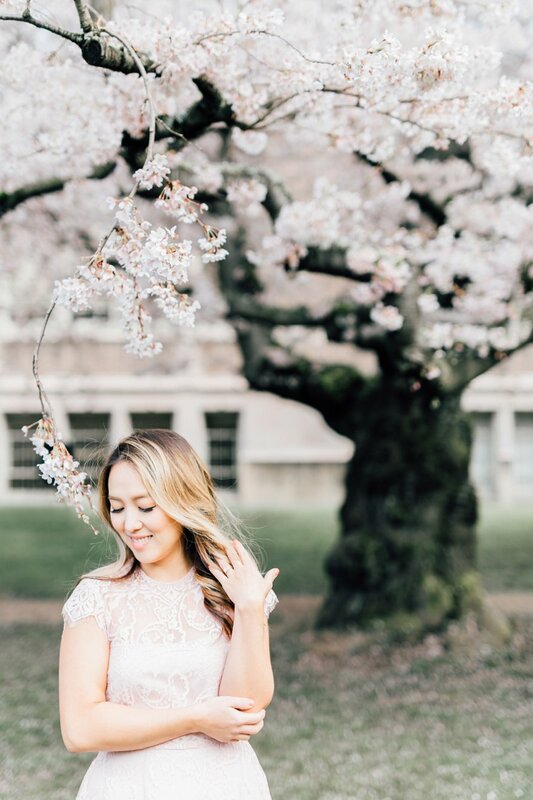 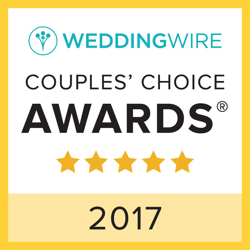 Spending time under a canopy of cherry blossoms with the promise of love in every embrace, this engagement session was one to remember! 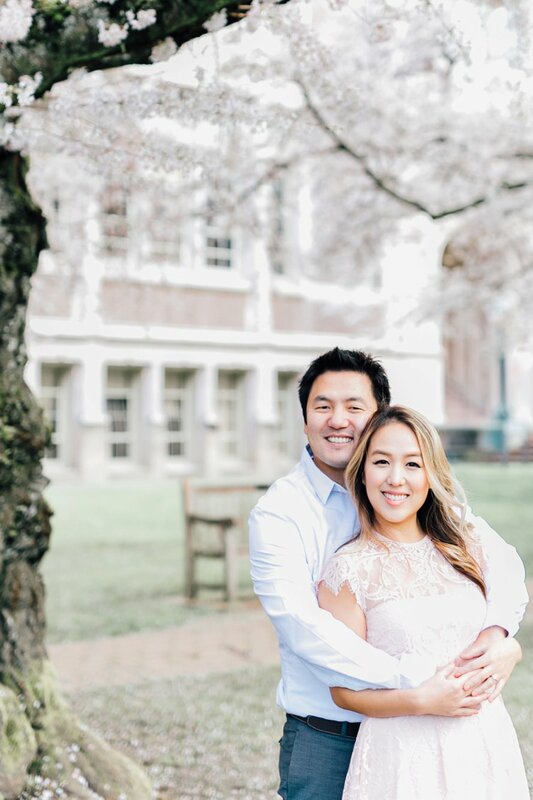 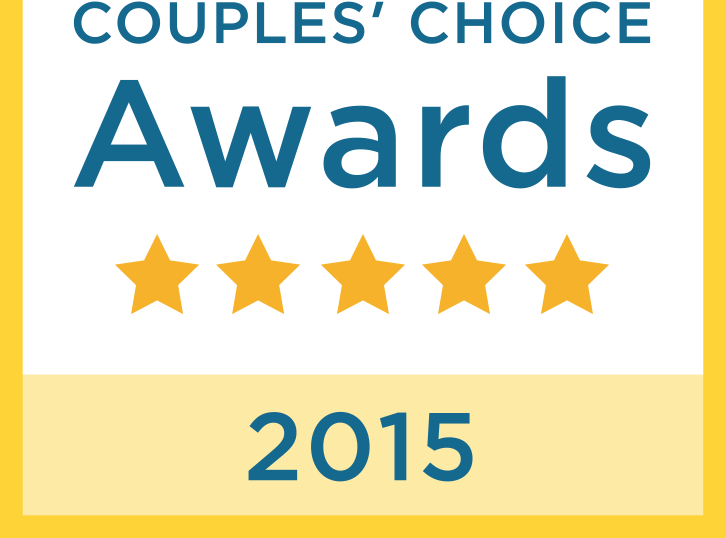 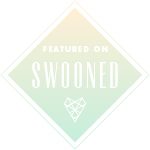 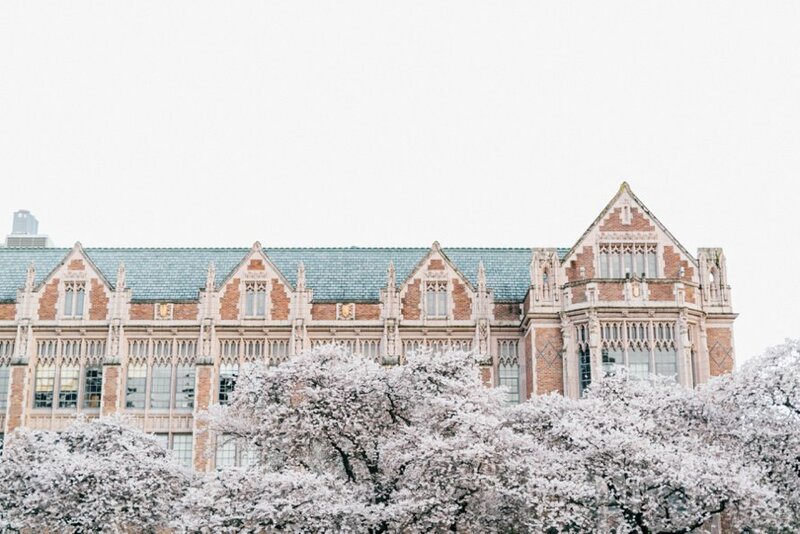 For Dianna and David, the University of Washington Quad holds more meaning than most. 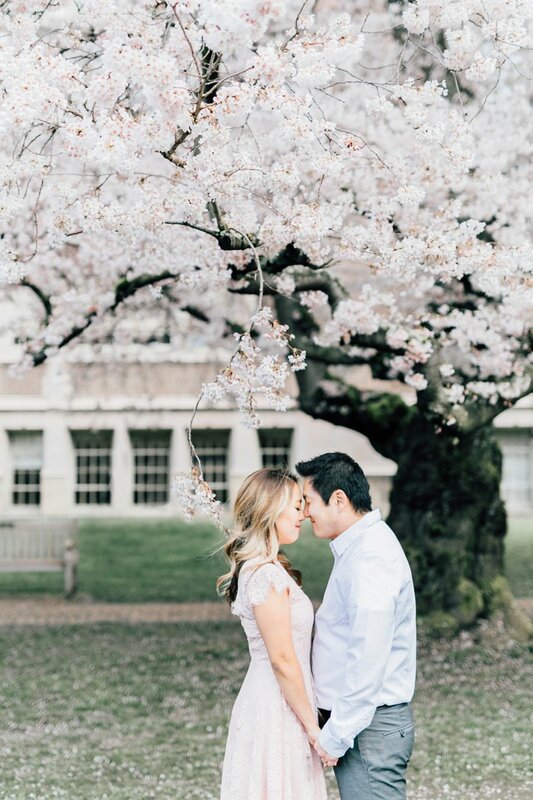 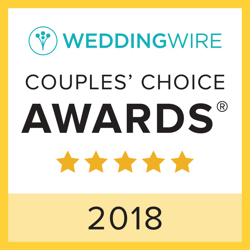 It's the place study hours between classes were spent, a favorite place to walk their mini husky on a weekend morning & the place they knew they wanted to hold their springtime engagement session!